John Townsend is an innovative entrepreneur, experienced business executive, and a passionate educator. He returns to Cal Poly (as a proud alumni!) after valuable years in the business world. As a lecturer in our Entrepreneurship program, his students will experience what he always most enjoyed at Cal Poly, “Learn by Doing” taught by “Those that Do”. John blazed his own trail on his mission to becoming a successful entrepreneur. He began his career as a partner in one of the world’s largest global strategy and information technology-consulting firms. It was here that he worked with high-profile clients such as: Oakley, General Motors, Northrop, Mitsubishi, Boeing, Toshiba, and Edison. John then transitioned to the Chief Information Officer role in both public and private companies for a time. He also started his own consulting practice where he advised tech-based and early stage startup companies. John was the Executive in Residence (EIR) for UCSD Rady School of Management’s MBA Lab to Market course where he co-taught and mentored eight student led startups, three of which were funded and launched by the student founders. John is currently the chairman of the board for a mobile app-based solution that coordinates the operations for the world’s largest restaurant chain. 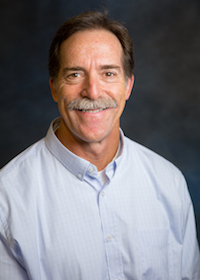 He also serves as an Orfalea College of Business (OCOB) Executive Partner where he mentors OCOB students as they navigate their Cal Poly path towards graduation and career or business launch. Last but not least, as Lead Mentor for Cal Poly’s Center for Innovation and Entrepreneurship (CIE), John mentors our startup companies through each stage of the CIE: hatch, accelerate, and incubate.